Everybody's gotta have their Netflix so they can properly chill, and you don't want a failed payment to prevent you from getting your downloaded goodness. This email notification, titled "We were unable to collect your last payment", is truly fake news. 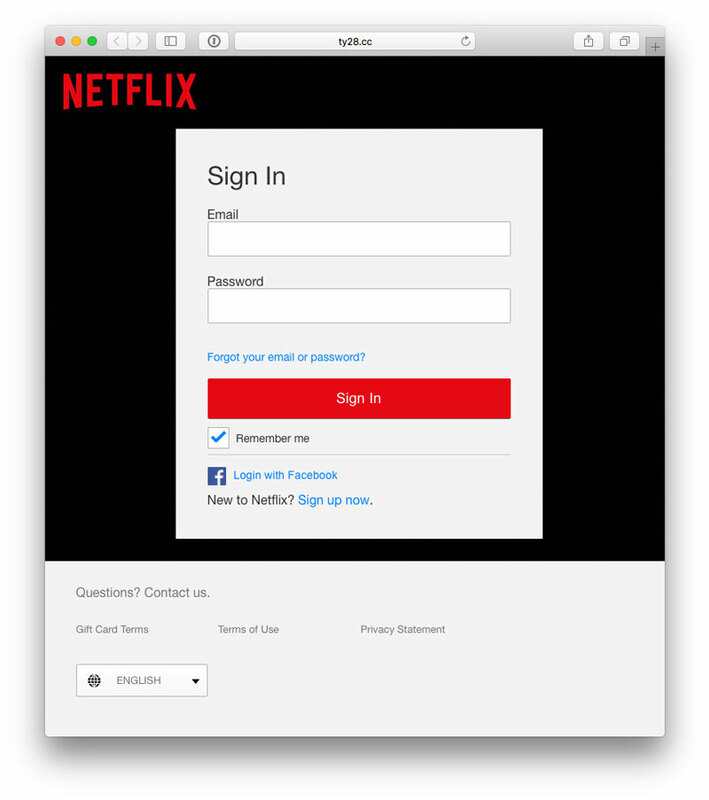 In the image, I show the actual URL of the link, which isn't anything related to Netflix. This is how lots of folks give up a valuable pair of login credentials (email and password), which they wrongly use for many sites, including some corporate networks that don't implement more stringent password rules. 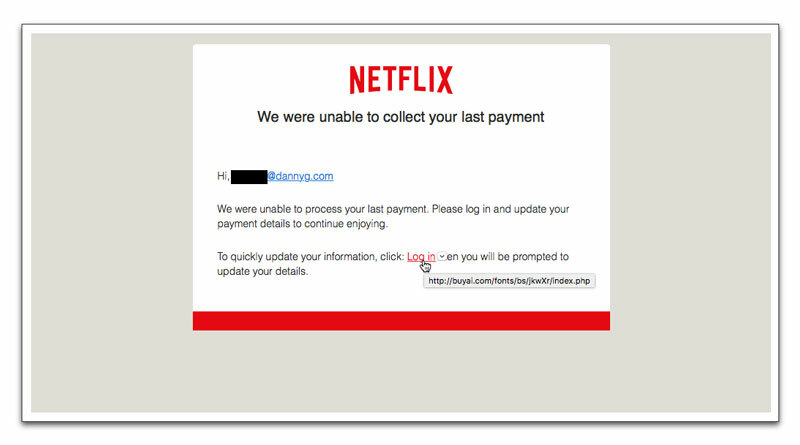 Even in just the consumer space, if you reuse your Netflix credentials for Amazon or your AppleID, giving them up to crooks can cause you all kinds of headaches. As always, if you receive an email like the one above, do not ever follow the link in the email. Instead, log onto the site through a previously saved bookmark. If there are genuine problems with your payment method, you'll be advised on the site. The Subject: line promises that there's a $90K/year job opening at Apple. The body, however, has different messages about a job. First, I'm being presented with an offer "to work with us" — whoever "us" is. Three positions are apparently available at Google and Facebook. What happened to Apple? Dunno. 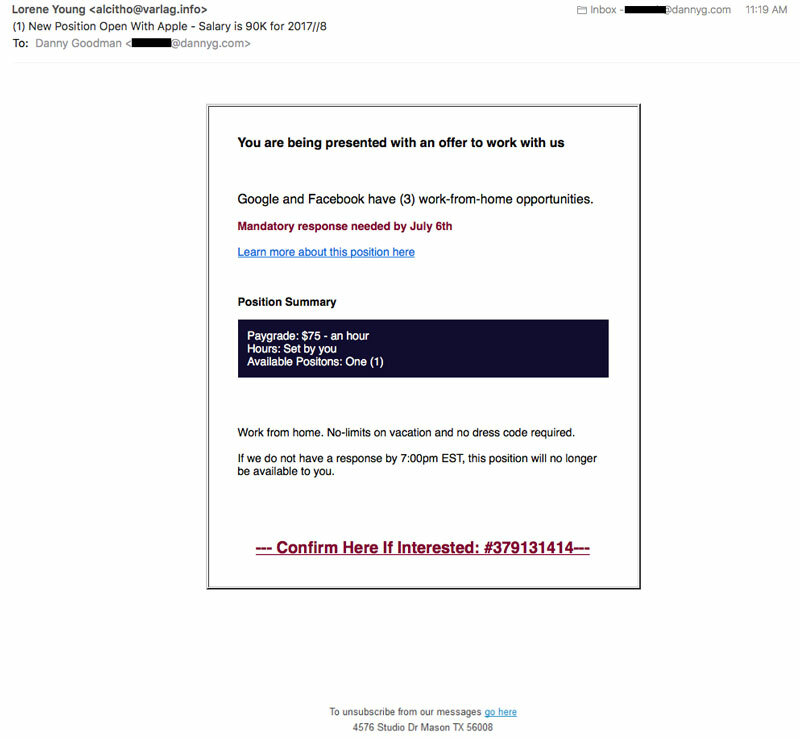 Then comes a "Position Summary", which indicates just one available position that pays $75/hour. That's about $150K/year, not $90K. So what's the deal? The URLs behind all clickable links go to a domain that was registered way back earlier today. Although the name/address of the registrant is all-American, I don't buy it for an instant. The contact mail address (conceivably of the actual registrant) is a mail.ru address — our old friends of the Russian Federation. None of these leads to anything good. Unfortunately, the hot brand names will trick plenty of job hunters/hoppers into at least clicking a link. Woe unto them.